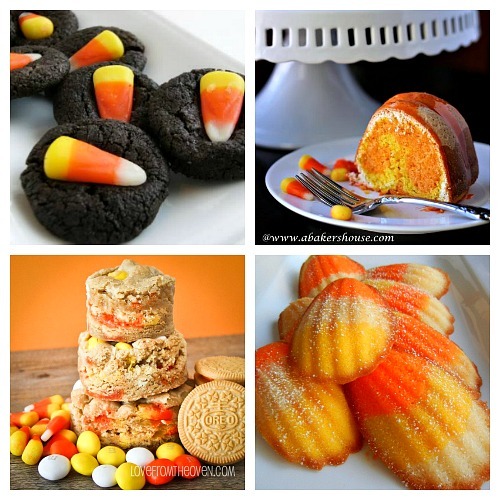 Candy Corn Dessert Recipes for Fall. Are you crazy for candy corn? It’s one of my favorite parts of the fall/Halloween season! 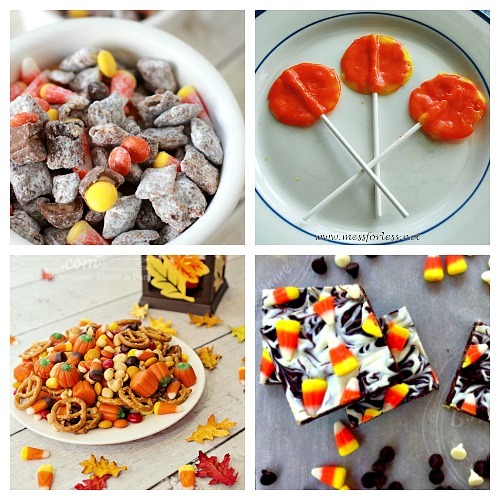 While it’s fun to eat on its own, sometimes it can be even more fun to eat candy corn that’s been made into different foods! 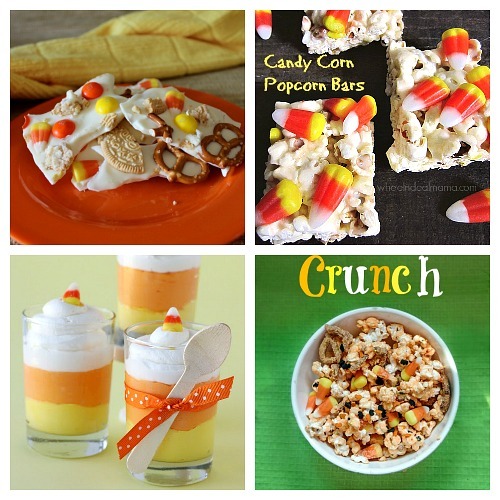 For inspiration, check out this amazing collection of Candy Corn Recipes! 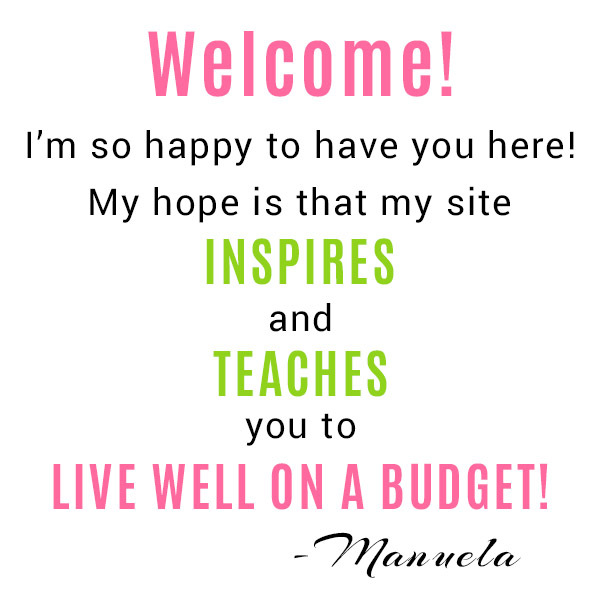 These all either use or are inspired by candy corn! 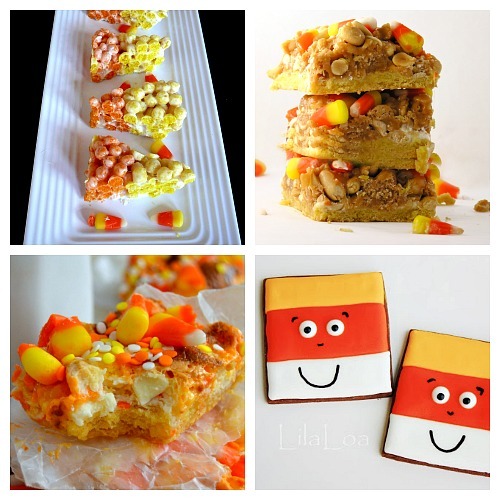 These candy corn recipes are perfect as fall or Halloween treats (especially Halloween party desserts)! 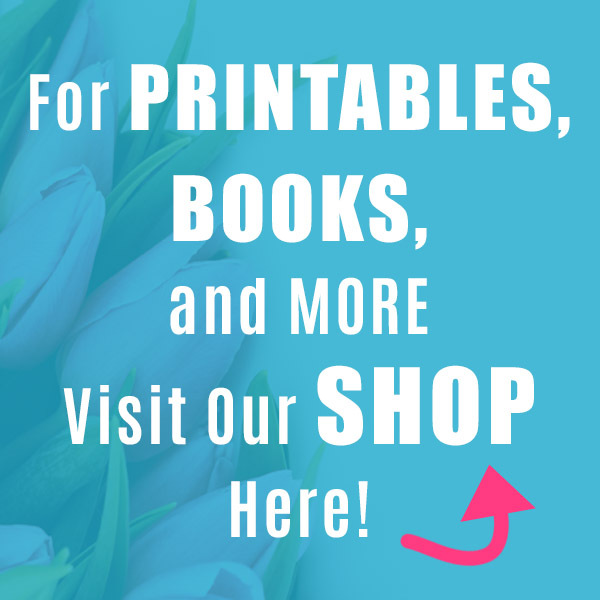 They’re also great for using up any leftover Halloween candy corn that you might have. 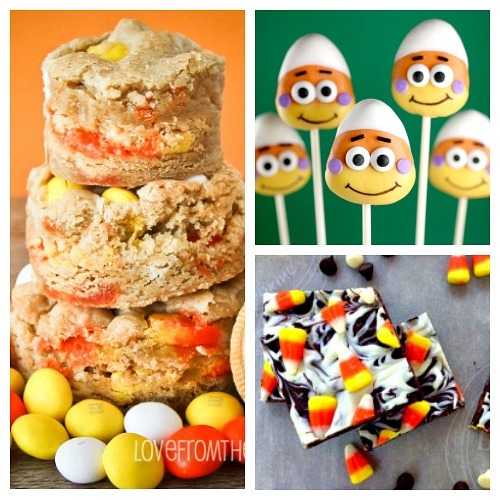 Why throw out excess candy corn when you can make it into one of the yummy treats below! 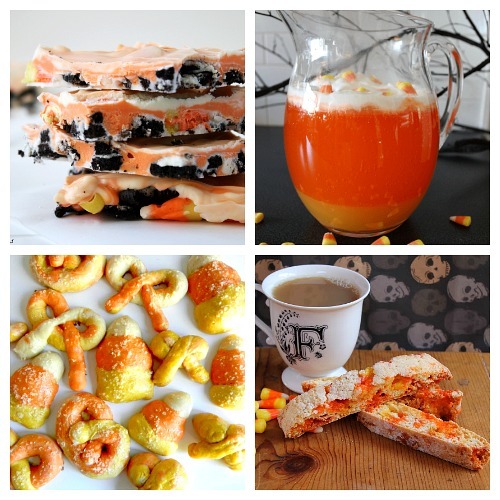 Didn’t get enough candy corn from this Halloween for the tasty recipes below? Candy corn fans buy their candy corn in bulk on Amazon. 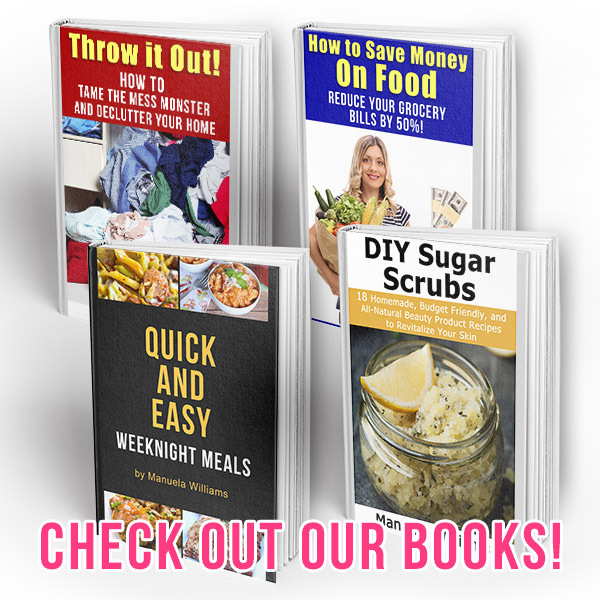 You can even buy organic candy corn on Amazon! If you only have candy corn left over from last year’s Halloween, it’d be best to get some fresh. 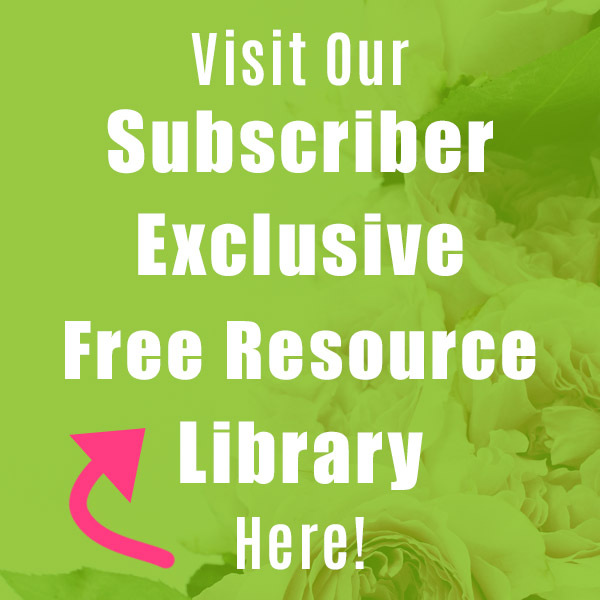 It’s generally only good for 9 months if unopened, and 3-6 months after the bag is opened. Organic candy corn probably has a shorter shelf life, so make sure to check the expiration date before you start to make your tasty candy corn dessert! 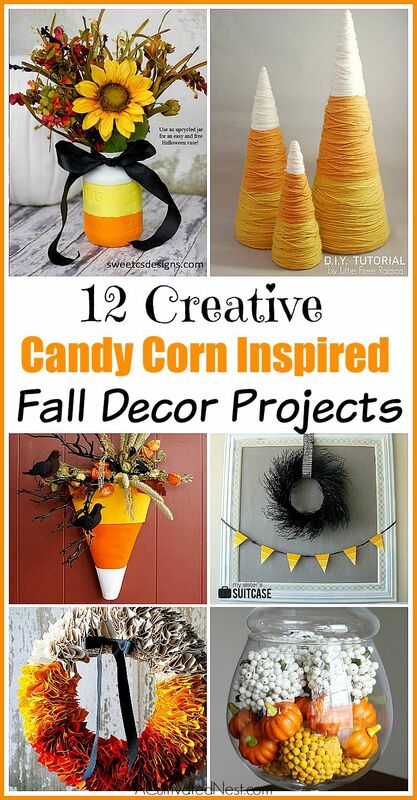 It’s also possible to make your own homemade candy corn. But it’s not the quickest thing to make (you have to make the 3 colors and turn them into the little tri-colored triangles) and not that much healthier (for an “authentic” taste, candy corn pretty much has to be made with corn syrup). 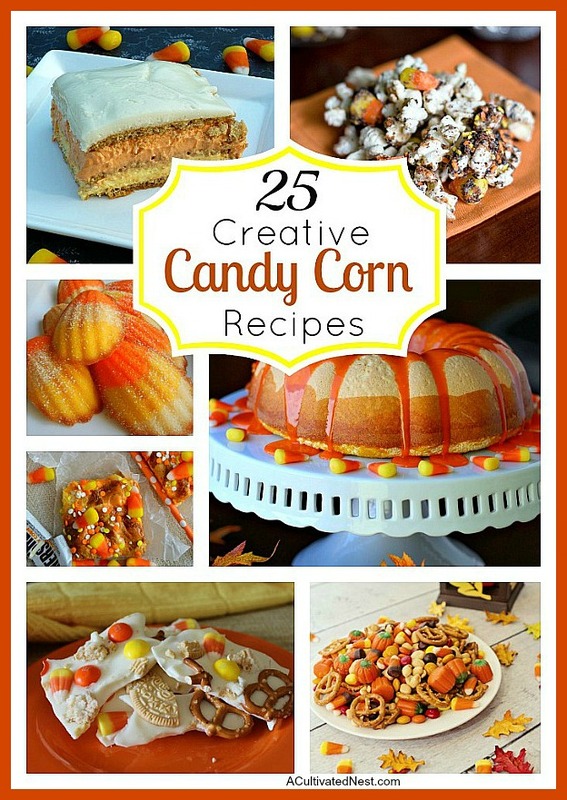 So to keep these candy corn recipes frugal, I’d say buy your candy corn, don’t waste time trying to make it. 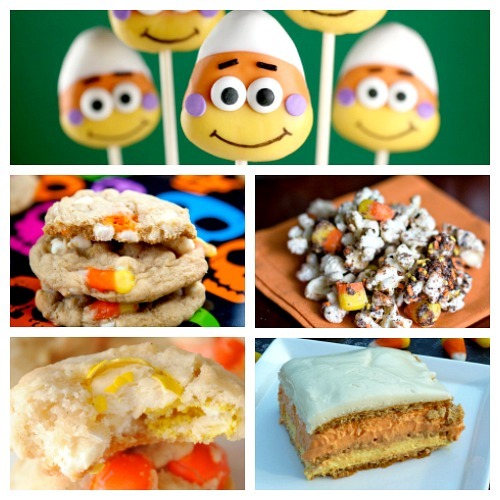 Which of these delicious candy corn recipes do you want to try first?